When you have prepared your presentation, practised and become familiar with its content, the assumption might be that you are ready for the podium. Not so fast. Because there’s still the outstanding task of handling questions during a presentation. So, what to do about the question and answer session? When it’s managed well a question and answer session serves several vital purposes: it emphasises your grasp of the presentation subject; it boosts your standing with the audience; it enables audience participation, and it builds the prospect of a grand finale to your presentation. And typically a good question and answer session is well managed and planned. Be prepared. 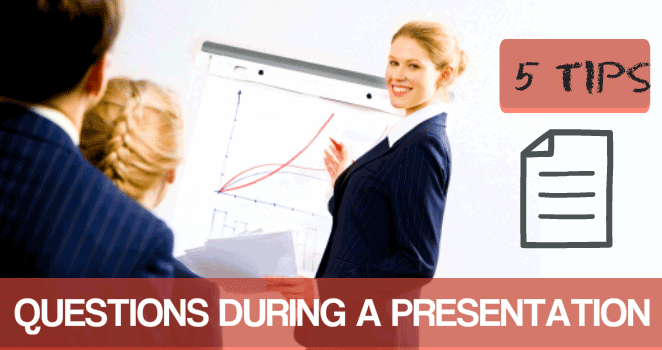 Each and every point made in your presentation could invite a question from the audience. To be prepared for this you need to work through all of your material. You need to imagine and note down the questions that might crop up. These questions during a presentation might require further explanation, clarification or opinion. For each question that you note down you should prepare a written answer. Consider the audience. No matter how much thought you put into predicting questions your audience will think of something else. Your audience is likely to have a shared, or known, background. Because when you know their shared interests you can anticipate their questions. So, as Ed Miliband will attest, it’s always best to know your audience. You can also discover more techniques to really know your conference audience. Note the news. In spite of all your preparation, news events can still conspire against you. The evening before the presentation simply scan the headlines for topical events and anything that might be relevant to the presentation. Sports, politics, business or even entertainment news might be a lead into a question area with your audience. Place a question. That’s because you might encounter that awkward moment between your call for questions and the first question. And it might well define the success of your whole presentation. You need to take a pre-placed question from the audience. It’s rare for an audience member to pop up with an engaging inspiring question immediately. Your pre-placed question does the job. Once that’s out, the way other questions will follow naturally. Be brief. Your answers must be brief, concise and to the point. This is not the time to discuss a mass of arcane detail. So, you can keep that for later. However, you must direct your answers back to the questioner. Use plenty of eye contact. If necessary you might need to repeat the question for the benefit of the rest of the audience before you give an answer. And, of course, you must handle the whole exercise courteously. With the time available for questions at an end now is the time to bring your presentation to an end with the grand finale. Your concluding remarks. 5 Top tips showing you how take questions during your presentation. Consider your audience’s needs and anticipate a question. Note the day’s news before you present. Place a question with an audience member before you start. Be brief with your answers. You can learn more about handling questions during a presentation on a PresentPerfectTM training course.